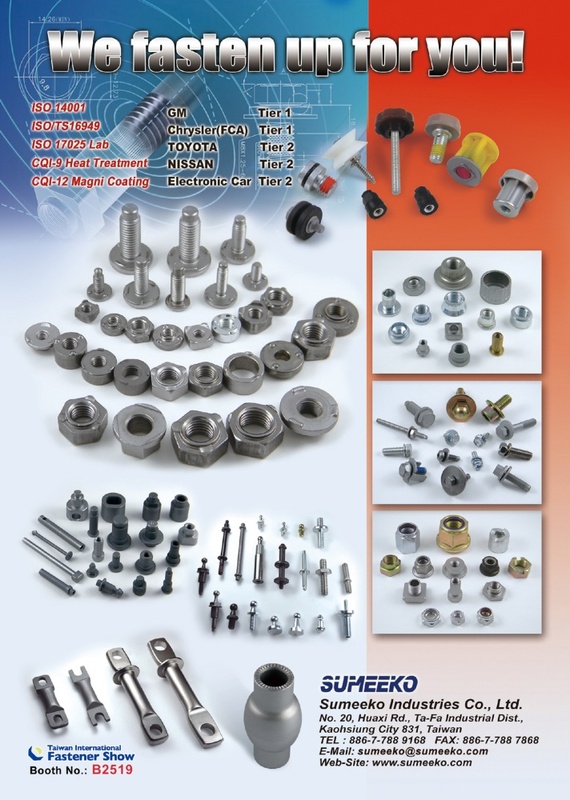 Our company, Sumeeko, is a TS-16949 certificated manufacturer dedicating itself in the fastener industry for 25 years. We can supply a variety of fasteners other than standard screws, bolts or nuts, and our customers are located all over the world, including Europe, North America, Asia, Australia, etc. 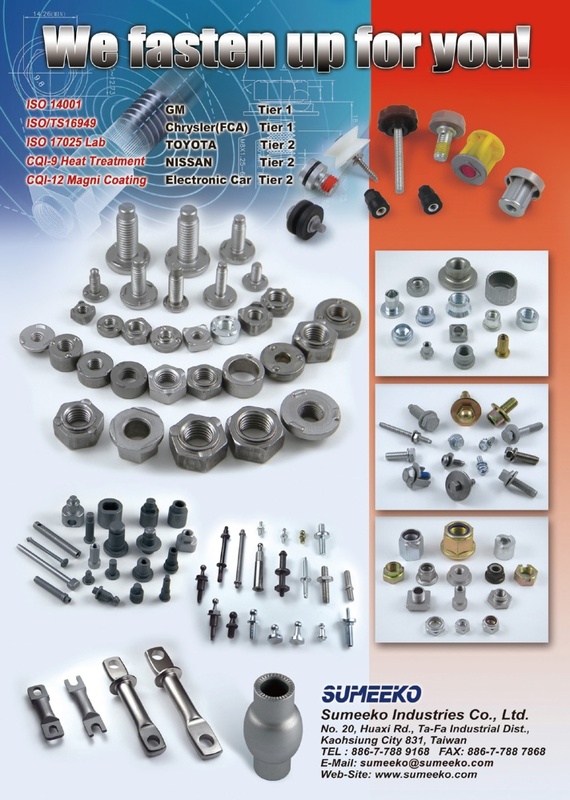 Relying on our rich experience and the outstanding performance of our engineering team, we can tailor-make many unique fasteners to customer's requirements. Also, with the strict quality control of TS-16949, we assure that there will be no compromise on our quality commitment to all our customers. In return, we have earned our strong reputation in the industry; subsequently, we have been appointed as a Tier 1 Supplier by globally famous car manufacturers of General Motors, Chrysler, Toyota, which further proves our strength in fulfilling customer's satisfaction. Sumeeko has been GM approved Tier 1 supplier for 6 years and Chrysler Tier 1 supplier / Toyota Tier 2 supplier for 2 years. We are very familiar with automotive standard and requirements. I am sure we can do very good jobs for you.